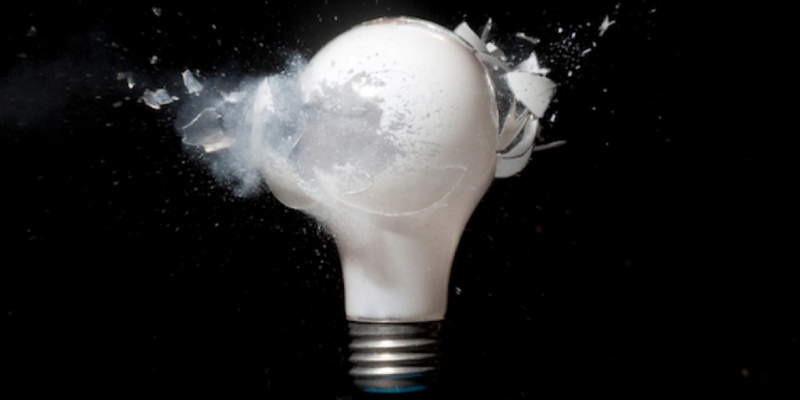 Are You A Disruptor or Are You Being Disrupted? Disruptive technology has existed ever since the invention of movable type, but the pace at which disruption occurs is increasing exponentially. And there are plenty of examples of what happens when industries are taken by surprise by disruptive technology; think photographic film, movie rental stores or music listening and distribution. If you accept the theory - and you should - that you can either be the disrupted or the disruptor, it becomes apparent that you need to develop the skill of peering into the future to see what's next before anyone else does. But how do you predict the future when you’re running as fast you can just managing and growing your Middle Market business? Technology will continue to increase at an ever-faster rate. 3D printers will become less expensive and more widely available. Baby boomers will continue to get older. Governments will continue to make laws and issue regulations. The workforce will continue changing in both demographics and education/training. The cost of healthcare will continue to be a topic of debate and conversation. Smartphones will continue to improve in processing power and storage capacity. Wearable technology will become increasingly functional and more mainstream. An increasing number of products will become part of the exploding "Internet of Things." Now, take it one step further. How could the exploding Internet of Things affect your business? If your product notifies the customer that there's a problem, will your customer expect you to initiate contact? Why should the customer have to contact you if your product can do it for them? What processes will have to change to accommodate that expectation? If your customer allows your product to connect to their network, will they expect you to have security protocols in place to protect their data security? How will you do that? Do you know how to incorporate data security into a widget? If not, how soon do you need to hire the people who can make that happen? Is it possible that the Internet of Things will eliminate the need for your product? In what way? What plans can you make now to fill the gap? Your market, your industry, and your middle market business will change; it's inevitable. Whether you're out in front of disruptive change or stuck behind it depends largely on your ability to play a game of "Educated What-If?" What might the world look like in five years, and what would that reality mean for your business? And most importantly, what are you going to do about it? Want to read more of the Refining the Perfect Fit Series? Click here!